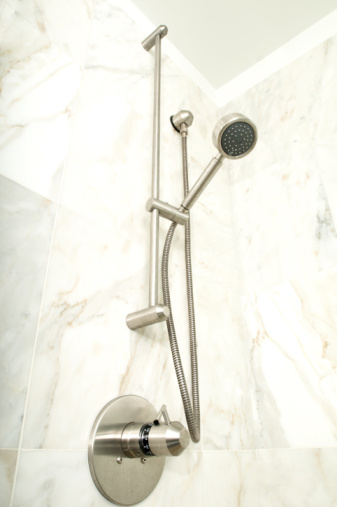 Cultured marble showers are common in many homes. Like any other material, cultured marble can become stained or outdated over time. Removing the cultured marble and replacing it with fiberglass shower walls will help you to update your home. 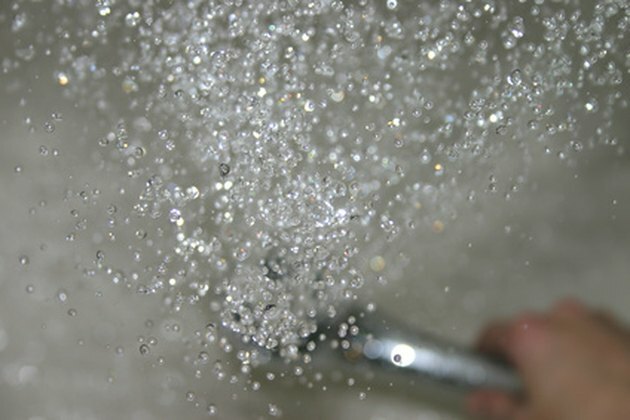 An updated shower can increase the value of your home and make it more enjoyable to use. Removing cultured marble is a tough job and may require the help of a partner to lift the panels out of place. Replacing cultured marble can update the look and value of your home. Turn off the water supply in your home. Unscrew the bath spout and shower head with a screwdriver. Cut the caulk around the cultured marble pieces with a utility knife. Cut each piece of caulk with the utility knife and peel it away with your fingers. Carefully remove the cultured marble pieces with a pry bar. Slide the pry bar behind the marble and lift the pieces out of place. Work carefully so you do not damage the walls behind the cultured marble. Spread drywall mud over the walls with a putty knife, filling any holes left behind by the cultured marble shower. The walls should be smooth when you have finished. Allow the mud to dry and then sand the walls with fine grit sandpaper. Measure the back wall of the shower and then measure the back panel that will fit on the wall. Place the panel on two saw horses. Cut away the difference between the two measurements on the marble panel. Trim the panel as needed with a jig saw. Apply construction adhesive to the back of the shower panel. Set the panel in place so the adhesive presses against the wall. Repeat with the other shower panels. Give the construction adhesive 24 hours to dry. Spread a bead of caulk around the shower panels. Wet your finger with a small amount of water and smooth the bead of caulk. Let the caulk dry per manufacturer directions before using the shower. What Kinds of Shower Walls Are Available?